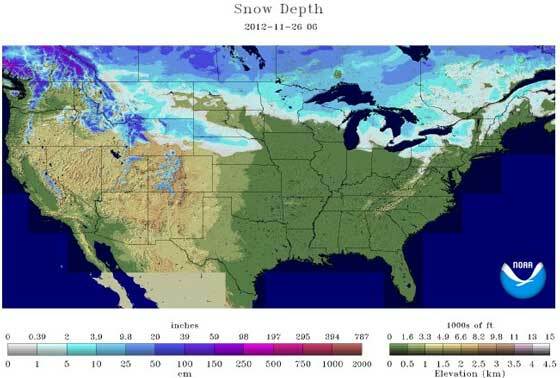 It's starting to look like winter throughout much of norther North America. Keep it coming Ma Nature! CLICK to SEE the NOAA site. Good morning from sunny Aroostook County, Maine, currently 25 and sunny here, no snow in the forecast for the week, everything is frozen a dull brown and green ! Send the snow Gods this way John !! We have about 4" on the ground now at the farm near Thief River Falls. Minus 3 degrees when I left for Minneapolis last night. Looks like we are off to a good start to winter in Cat Country!